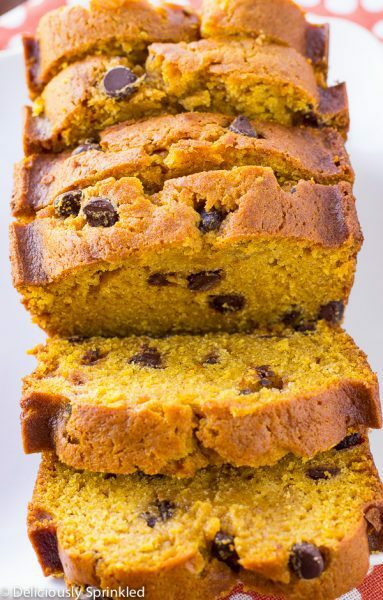 Pumpkin Sweet Potato Bread is so moist and flavorful. Topped with a delicious maple vanilla glaze and sprinkled with chopped pecans. 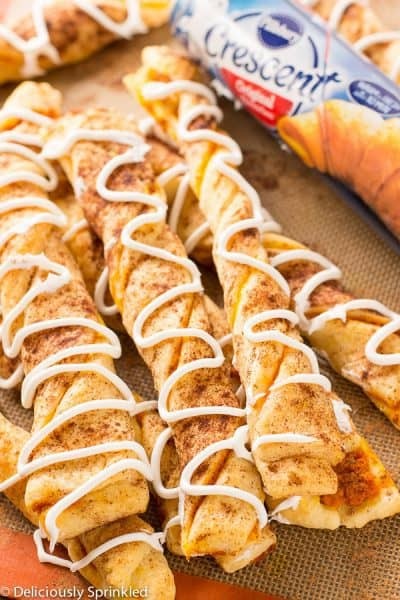 Hey, it’s Jenn from Deliciously Sprinkled back with a delicious fall favorite. Nothing tastes more like fall than fresh baked pumpkin goods. 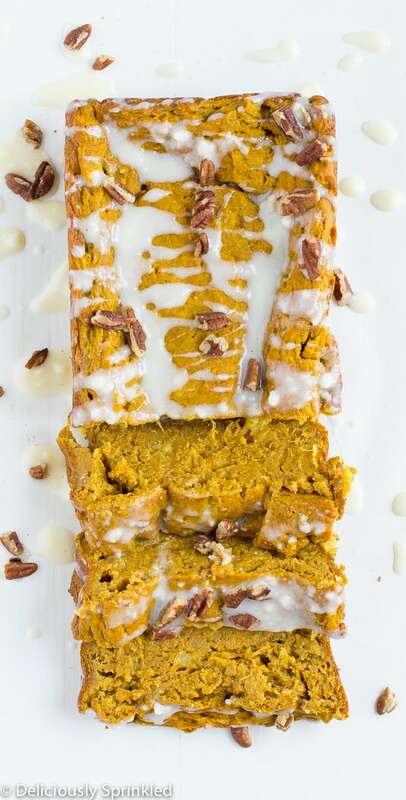 I’ve always loved just about anything with pumpkin in it, so I decided to switch things up to the traditional pumpkin bread with this Pumpkin Sweet Potato Bread. 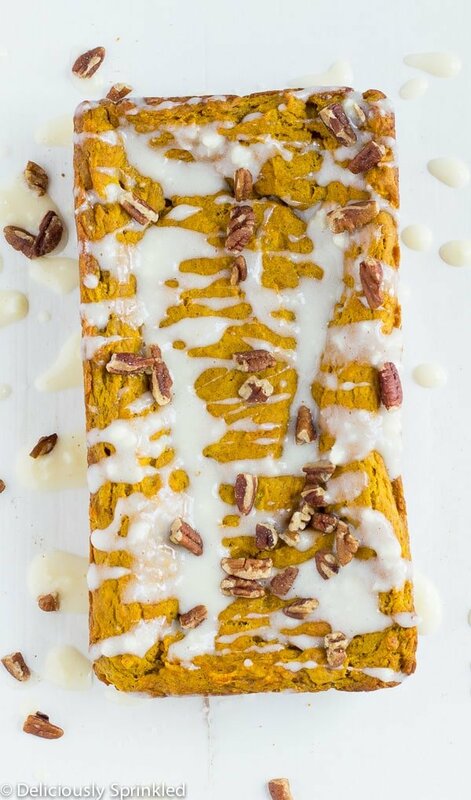 This Pumpkin Sweet Potato bread is incredibly easy to make. In fact, it doesn’t even require a mixer, just a bowl and spatula and a bread loaf pan. Oh and let’s not forget to talk about the maple vanilla glaze, it adds just the right amount of sweetness, top with chopped pecans and you have one delicious bread. Preheat oven to 350F degrees. Spray a 9x5 inch loaf pan with cooking spray. 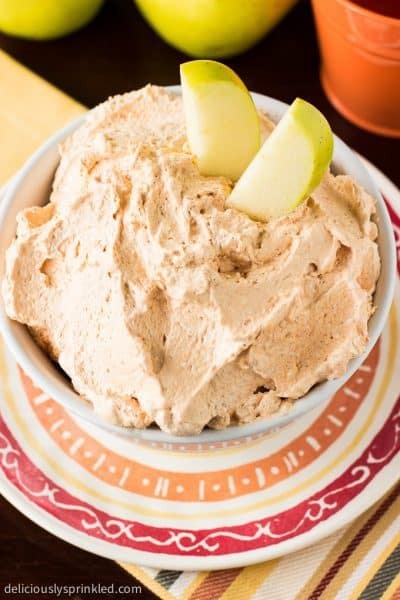 In a large bowl, whisk together flour, pumpkin pie spice, baking powder, baking soda, and salt. In a medium bowl, mix eggs, pineapple, pumpkin, sweet potato, brown sugar, and ginger together. Add pumpkin mixture to the dry ingredients and stir until combined. Add oil, stirring to combine. Spoon into prepared pan. Bake for 55 minutes - 1 hour. Let cool completely on a wire rack. In a medium bowl, which cream cheese until smooth. Gradually add milk. Add powdered sugar and maple syrup, whisking until smooth. Drizzle on top of cooled bread. Sprinkle with chopped pecans. For the pumpkin sweet potato bread, is the sweet potato raw or cooked ? Thank you, it looks yummy and I would like to try it.